OPIC within its mission in Uzbekistan pursues the goal to promote American business in the implementation of investments in the Uzbek market by providing loans and guarantees. 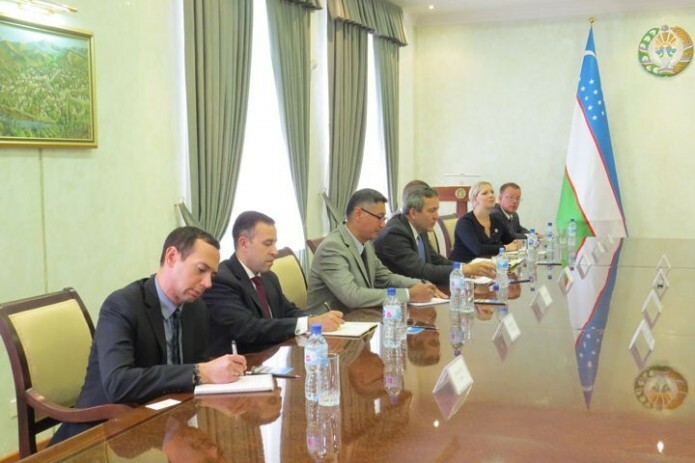 The First Deputy President of Senate of Oliy Majlis Sodiq Safoev met with the delegation of Overseas Private Investment Corporation (OPIC), headed by Executive Vice President D. Bohigian on 17 August. A Joint Statement was adopted between Uzbekistan and the U.S. in the framework of the historic visit of President Shavkat Mirziyoyev in the U.S. in May this year. Bilateral roadmaps for the implementation of agreements totaling some $5 billion are currently being implemented. The Corporation also supports the establishment of private and managed investment funds. In addition to capital, OPIC assists developing countries in gaining access to management skills and financial expertise, which are key factors in enhancing economic development and creating new opportunities for entrepreneurs in developing countries. OPIC delegates stressed that the Uzbek market is considered as a promising object of investment, which is primarily facilitated by the stability of the political and economic situation in our country, as well as ensuring reliable security of investors. OPIC`s assets to date estimated at $20 billion. The Corporation operates in 160 developing countries and meets business financing needs in a variety of industries, including information technology, health, education, infrastructure, telecommunications, financial services, housing and agriculture.